Perfect for your next match! 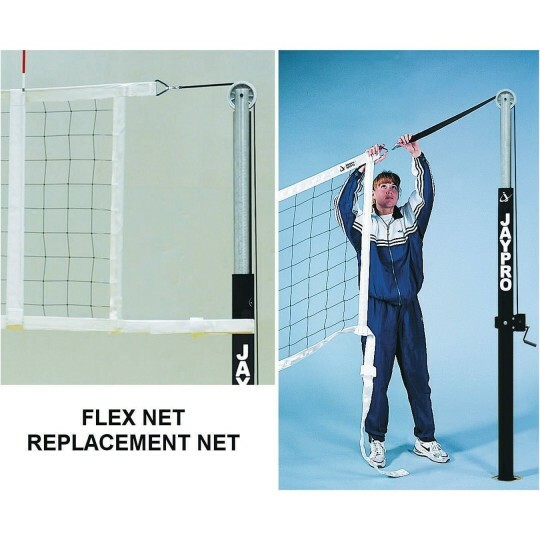 Heavy-duty nylon banded net eliminates use of cumbersome cables. Designed for international, collegiate, and high school competition play. Headband attaches directly to winch leader strap for superb net tension. 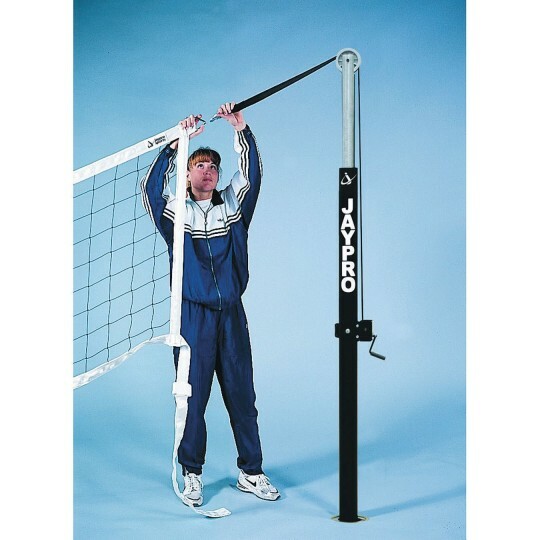 Designed for uprights set between 35’ – 37’ apart. Net measures 39”H x 32’L. This is the net that comes as original equipment with Jaypro Featherlite volleyball standards.